MARTA Mobility Travel Training program is for individuals with disabilities who want to learn to travel safely and independently using public transportation. Travel training is a FREE self-paced process that is focused on “How to Ride” based on individual’s needs. It provides the assistance necessary for each person to successfully learn how to use MARTA Transit’s fixed buses. What types of skills are learned? What are the Benefits of Riding MARTA? Contact MARTA at traveltraining@itsmarta.com to start the process. 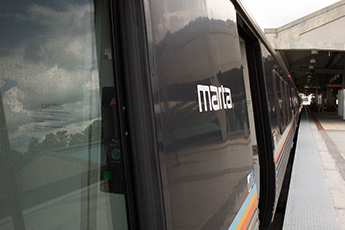 A MARTA-appointed travel trainer will set up an appointment to meet with you to discuss your travel skills and goals.